Yarn Type Beautiful undyed yarn. Annually renewable, blended from British sheep. 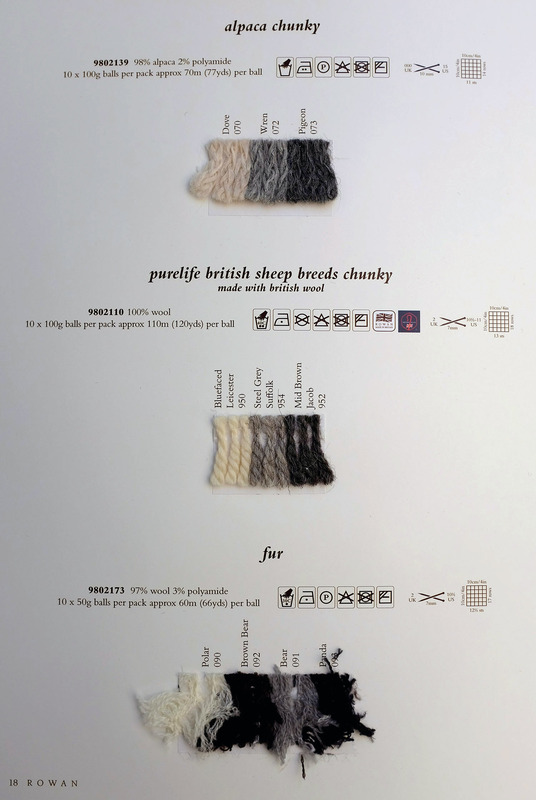 100% British wool. (per ball) Approximately 110 metres (120 yards) per 100g ball. Hand wash warm. 14 handknit designs for women and the home. Lakeland is a celebration of British heritage wear, the stunning Lakeland landscape and of British woollen yarns. These fourteen classic, but contemporary fit garments are perfect for fell walking as well as providing essential warmth to the coldest of winter days.